Is there a way to convert PDFs to page flip book publications that can be searched by Google? That means the text content is searchable and when others search the keywords on Google, they can see my book content and click view my flipbook. I think A-PDF Flipbook Maker can help you with this. 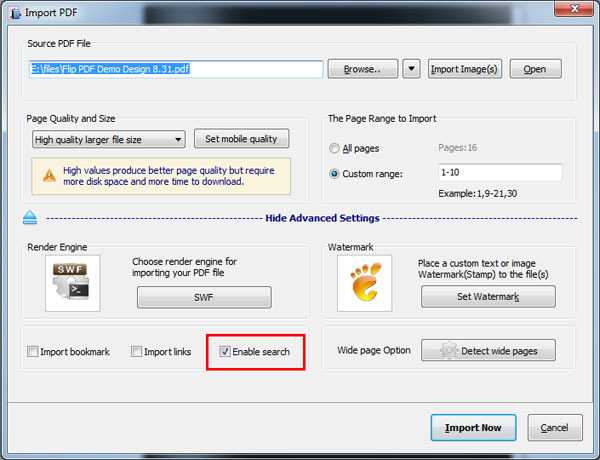 This flip book maker will not only help you create flipbooks from static PDF files, but also enable your book to be searched by Google because the text content of your PDF is transformed as searchable text in the flipbook. Once you start the software, click "Create New" to build a new book project, and then you can browse your computer to select a PDF. Next, click "Advanced Settings" and check "Enable search" option. And then click "Import Now" to import the PDF file. In the main interface, you can design your flipbook with various custom settings and functions based on the pre-design template. 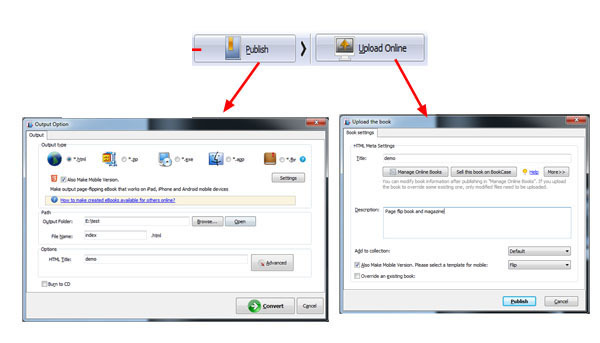 You can click "Publish" button and output the flipbook in HTML and upload it to your own website; or you can click "Upload Online" to publish the book to our Cloud Hosting directly. And after your flipbook is alive online, it can be searched by your readers via Google.